I had read many damning reviews of ‘Gangster Squad’, however I was ready to accept it as mere pulp fiction, and during the opening 40 minutes or so, it seemed like I would be able to, but by the closing credits, I discovered it wasn’t even good enough for that. 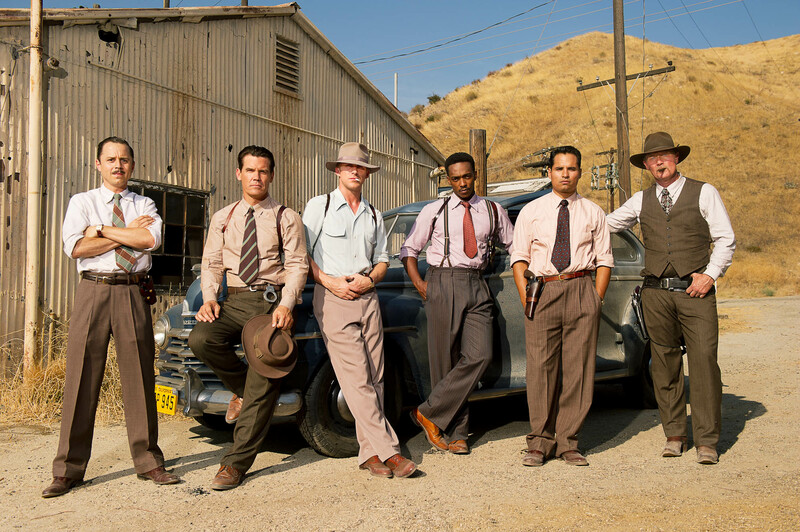 The film tells the story, which is ‘inspired by real events’, of a covert group of tough police officers who endeavour to stop Mickey Cohen’s criminal activity encroaching on Los Angeles. Strangely, the film boasts a popular cast with the likes of Sean Penn, Ryan Gosling, Josh Brolin and Nick Nolte. It establishes its characters and premise pleasingly enough, but ultimately it fails to deliver through a lack of humour, narrative baggage, clichés and a slew of boring stock characters. The film draws parallels with the infinitely superior ‘LA Confidential’, however there are more similarities with ‘The Expendables’, only without the laughs and nostalgia. When it attempts to create even a slight portion of pathos, it’s baggy and dull; the film is bereft of any emotional weight whatsoever. The film operated more like a video game than a film, with its silly elaborate action scenes and Mickey Cohen (Sean Penn) feeling like the ‘boss’ villain rather than a human character. Actually, that comparison isn’t fair on the gaming industry; I have played and completed ‘Mafia II’, which has far more in the way of developed characters and narrative. The film’s sole interest is period style; substance and veracity aren’t its top priorities. What occurs on screen is pure fantasy; the extent of its historical accuracy doesn’t go far beyond the fact that there was once indeed a man named ‘Mickey Cohen’ who wasn’t particularly nice. The allure of 1940s Hollywood and its strong cast will bring ‘Gangster Squad’ to the attention of many people, however it is a formulaic, mediocre and superficial rehashing of films such as ‘Chinatown’ and ‘L.A. Confidential’.